Private bedroom with double bed and built in robe with plenty of sunlight. 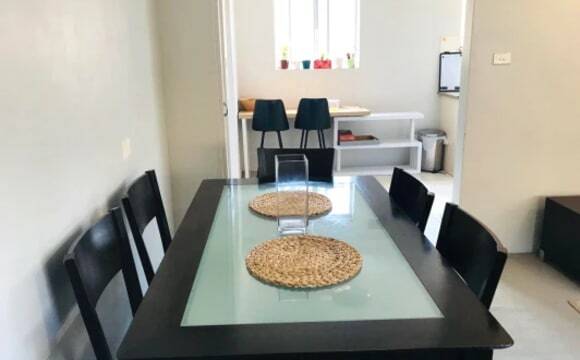 Whole appartment fully furnished (kitchen equipment / tv / Netflix / laundry). Quiet neighbourhood in small appartment complex. Close to many amenities. 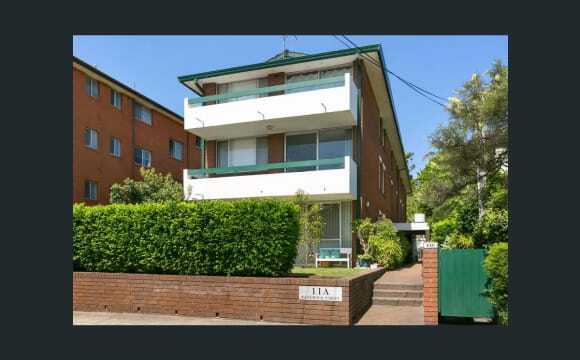 10 min walk to Woolworths /Coles and UNSW campus 10min bus to coogee or Bondi Junction. 20 min bus to CBD. I am looking for someone to share this 2-bedroom unit located on quiet St Marks Road in Randwick. You will only share the place with me and a little kitty, she is a super sweet short hair little girl :) . There is an undercover car space available also if needed. The rent is $290 per week and utilities shared evenly. The room is available from 11th of May, however my flatmate has been very sweet to provide some flexibility, so if you would like to move in earlier it will be fine as well (probably even more preferred :)). 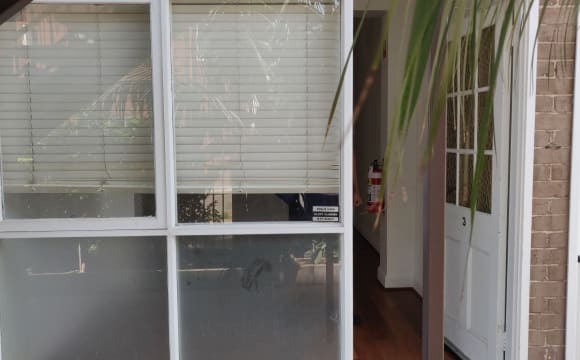 Just let me know the date and I will confirm with him :) Features: Light filling rooms, Quiet and green neighbourhood, Randwick shopping centre is just around the corner and bus stop; Short walk to the beach + UNSW; Undercover car space; Balcony, Washing machine; Unlimited internet. 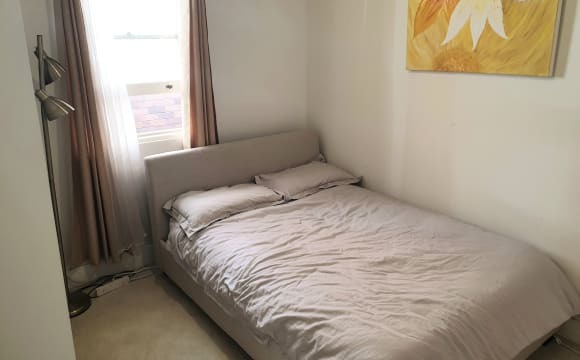 Location: - 17 minutes walking to UNSW - 18 minutes walking to Coogee Beach - 28 minutes to townhall station by bus The room: The room has a double bed, a chest of drawer and a small cabinet to hang clothes. I like the fact that it is very green outside the window. Amazing ground floor apartment in a brilliant location, with awesome housemates. - Located in the Spot, with great cafe's, restaurants, independent bars and the classy historic Ritz Cinema - Peaceful and quiet apartment with great neighbours - 12 minute walk to Coogee Beach - 5 minute walk to Prince of Wales Hospital &amp; Sydney Childrens Hospital - 15 minute walk to University of New South Wales - Next to bus stop, 15 minute bus ride to city, 20 minutes to central station and multiple buses almost every 5 minutes to Bondi Junction, Central Station, City and Circular Quay - 6 km to drive to Central Station. - Free untimed street parking available close by - Convenient and secure ground floor access - Roof top access - Great outdoor space that is maintained by strata - Share a large new bathroom with only one other person - House is fully furnished with modern appliances - Room dimensions approximately 2.6 X 2.75m - Resident â€œno fussâ€ Cat About us: Hi I am Stacey, I currently work full time as a nurse. I love movies and the theatre, I'm also very sociable, relaxed and easy going. I am clean, organised and considerate. I love living here in the spot which is bustling with a great vibe and culture. The beach is a stones throw away and there are a ton of great places to eat nearby. I am looking forward to meeting a new house mate who is relaxed, sociable and enjoys good food and great company. Hey, my name is Uma and I work as a civil engineer. I'm pretty easy going and would love to live with someone who's quite chilled as well. I love cooking, going to the beach, meeting new people and on occasion love a good night out. Definitely would love a housemate who is friendly, clean, considerate and adventurous enough to try my food concoctions. I'm Lola and I'm a cat. I'm a freeloader, unemployed and sleep a lot. On occasion I may request you pet me or play with my toy mouse and I. The one thing I love more than dinner time is the magical red dot that sometimes appears, my life mission is to catch the red dot. I'm all round fairly lovable. Includes UNLIMITED Internet Includes Water Bill Internal Laundry with washing machine and dryer Dishwasher Fully set up kitchen Lounge and Dining room furnished TV and Entertainment System Secure Building Entry Built-in Wardrobe IF INTRESTED PLEASE ONLY MESSAGE ON FLATMATES.COM. Location location!!! Beach, shops, park, public transport you’ll have it all.. Flat will be unfurnished - open to what you have! Bigger room with lock up car spot $350, smaller room $330.... Bigger room is available - I’m not fussed. Lock up garage w storage also available. Bills not included in rent..
- Bus stop right in front the building - Plenty of restaurants, cafes, chemist, bottle shop and supermarket in the street. 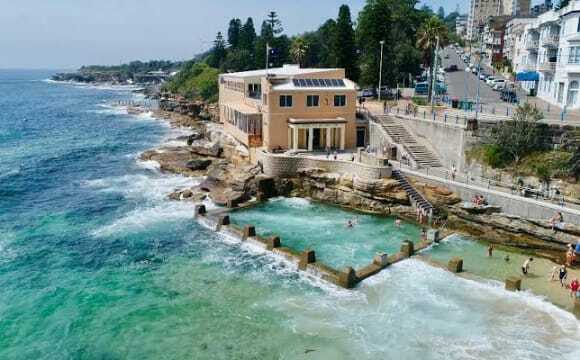 - 5 min by car to Bronte Beach and Coogee Beach, 10 min to Bondi, 20 min walking to Bondi Junction, 8 min by bus to Bondi Junction. - Free park on the street. - All bills included - Cleaning Included You are going to share a 2 Bedrooms and 1 Bedroom Ensuite Unit. 4 people in total. 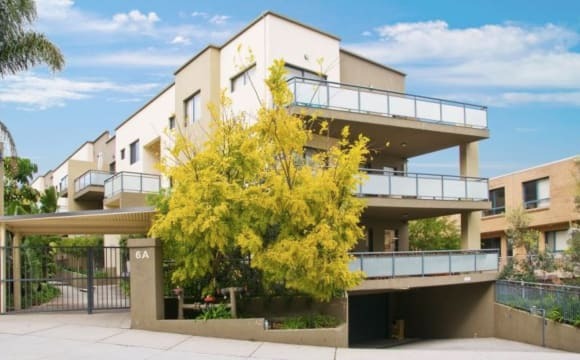 Sunny north facing apartment block of 4; very quiet, close to the Spot and Randwick Ritz, Randwick shopping centre, UNSW, Randwick Racecourse and Prince of Wales Hospital. Buses 5 minutes walk away, 15 minute walk to Coogee Beach. Small courtyard with clothes line. District views across to Waverly. Lock on bedroom doors. Comfortable and well set up flat. Large built in cupboard in room. Spacious and open Art Deco semi style apartment with garden area on ground floor located near Centennial Park, Bronte.. close to transport (one minute walk) and a step away from our beautiful beaches and Bondi Junction. Beautifully decorated and comfortable with a lovely outdoor area. All amenities and utilities included- Netflix, gas, electricity and internet. Well kept, clean and tidy. Great neighbourhood, fabulous street which is convenient and local. Getting around and transport is super easy. Large bedroom with built in robe. Furnished if necessary. Large living space and new kitchen and bathroom. City views. 50 metres from public transport. Walking distance to Randwick racecourse, shops, restaurants and gyms. Close to Coogee and Clovelly beaches. If you are looking for a calm and private place, this is for you. 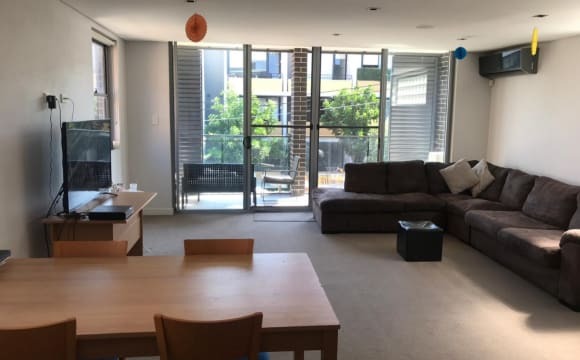 The room is at the self contained 2br flat at perfect location, close to Randwick Spot, the cinema, University of NSW (UNSW), Royal Randwick hospital and Coogee beach. The room is fully furnished with a tall six-door wardrobe, desk, bookshelf and queen size bed. * Fully furnished Double size room (we can also accommodate for two single beds if desired) * European double windows (not only the thermal reduction but also noise cancelation); the room is well insulated, to keep cool in the summer and warm in the winter * Own Garden entrance * Walking distance to Randwick Spot, Coogee beach, Royal Randwick Hospital, University of NSW (UNSW) * Distance to airport by a car (15-25min), to city (15-30min) * One bus to Circular Quay, City Centre (approx. 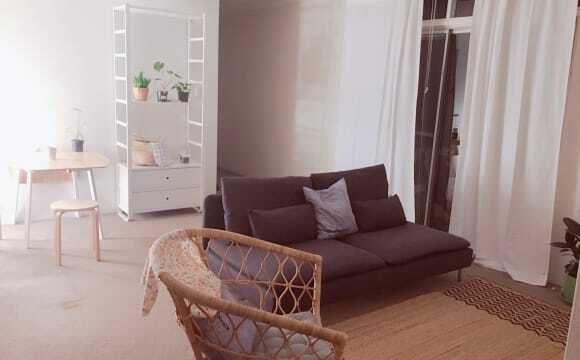 20min Bus Ride), Bondi and most major tourist attractions If you live in this 2br self contained flat, you will be sharing the kitchen and the bathroom with one female academic from Poland. My name is Hannah and I'm urgently searching for a new housemate! One of my roommates is unfortunately moving so I'm looking for a friendly, upbeat female tenant to fill one of the bedrooms and someone who will fit in well with my other housemate. Sally, my other housemate, and I are in our early-mid 20's. I work and am a full-time student @ UNSW and Sally is currently working in the CBD as a videographer. We are friendly and easy going girls who love to have a glass of wine, go dancing, relax and enjoy all that Sydney has to offer! We're conveniently located in the heart of Randwick, within walking distance to Randwick Junction, UNSW and POW Hospital. There's quick and easy travel Coogee, Bondi and the CBD, so if you're a working professional or student and love the beach then this is the place for you! The room available is warm and spacious, with a built-in mirrored wardrobe. Now for the boring stuff...Bond will be $1136 which is 4 weeks worth of rent. We will firstly require a $284 deposit which will hold the room and will go towards your first weeks worth of rent. Water bills are included and we all split electricity and internet three ways. I look forward to meeting you. Please message me if you think you'd fit in well with the house! APARTMENT DETAILS: Spacious 3 bedroom apartment; 2 bathrooms; Large living and dining area; Fully-functional kitchen (inc. dishwasher, oven &amp; stove); Laundry (inc. washing machine); Large balcony; Undercover parking; Wi-Fi available. 15min walk to UNSW, top floor apartment in quiet building with pool and plenty of natural light. Fully furnished room with queen bed, desk and wardrobe. Apartment has gas cooking and wooden floorboards (carpet in bedrooms). Unlimited internet and all bills included in rent. Walking distance to supermarket, gym, restaurants/cafes, banks and bus stop. Shared kitchen with appliances and utensils, laundry with washing machine, lounge with TV (with Netflix) and shared bathroom. Couples welcome for rent of $500pw. Hi Everyone!!! We have 1 single bed in a share room only girl and a single room available in our big and nice art deco 3 bedroom / 1 bath unit in Randwick. THE SHARE ROOM It is a massive room, fully furniture, each girl has their own wardrobe, single size bed and drawers. The house has everything you need: high speed wi-fi, laundry, TV, bath and shower. ****LUXURY MASTER ENSUITE BEDROOM CLOSE TO THE SEA**** One of only five in an exclusive boutique collection, this luxurious three-bedroom apartment offers the ultimate in designer luxury coupled with standout convenience. Located on the edge of The Spot, 100m to St Pauls Street's gourmet cafés, alfresco eateries and the landmark Ritz, it showcases the clean, fluid lines of contemporary design. Streamlined interiors, high-end finishes &amp; a large terrace deliver a superb lifestyle address ideal for the style savvy. Featuring internal lift access to secure basement parking, it offers three double bedrooms with built-in robes and two designer bathrooms including a master ensuite and a main bathroom with a freestanding bath and frameless glass shower. Bright open living space is framed in floor to ceiling glass and opens to the terrace while a gourmet CaesarStone gas kitchen features integrated appliances including a chef's grade five-burner DeLonghi gas cooker. Details include an internal laundry, automated blinds, high shadowline ceilings, halogen downlighting and basement storage The Master bedroom en-suite with private secured parking is extremely spacious and boasts a spectacular bathroom and shower. Will be living with 3 professionals from Ireland. The living area is very large with in house aircon. FULLY FURNISHED. $440 per week excluding bills. Ideal for couples at just $220 per head a week. Available from Monday 13th May.